MANILA, Philippines — The Aboitiz Group expects the need for further expansion on the new Bohol-Panglao International Airport as early as 2025 due to Bohol’s booming tourism industry. Aboitiz InfraCapital Inc., the infrastructure unit of the Aboitiz Group, secured the original proponent status (OPS) last September from the Department of Transportation for the proposed operations, maintenance, and expansion of the Bohol-Panglao International Airport. “With sustained growth expected, the new airport could require expansion as early as 2025,” Aboitiz said. 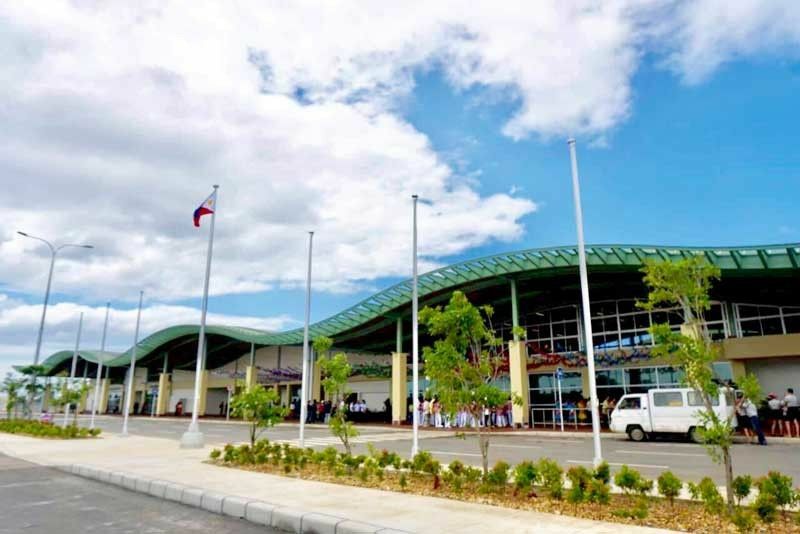 The new Bohol-Panglao International Airport, which was inaugurated last November, is 10 times bigger than the old Tagbilaran airport and boasts of a 2,500-meter runway that can accommodate seven aircraft at one given time and a passenger terminal that can handle around two million people annually. Dubbed as the country’s first eco-airport, the Bohol-Panglao International Airport also features environmentally sustainable structures and green technology. Aboitiz said the opening of the new airport is already helping boost Bohol’s tourism industry. Bohol Tourism Office head Josephine Cabarrus is optimistic a fresh approach to airport management and operation is a welcome strategy to make the airport at par with other international airports. With the prospect of tourist arrivals doubling this year, Cabarrus said airport services should be elevated to international standards. “Learning from how the Tagbilaran airport was managed, we know there are things to be improved. If you say that you have an international facility, then you should have an international-level service,” she said. Cabarrus said the Bohol-Panglao International Airport would be instrumental in the development of the island’s tourism industry as it is poised to not only bring in more tourists to the country, but also to increase job generation from the construction, retail, food, and transportation sectors. “We’re looking at Bohol-Panglao airport to be a game changer for the economy of not only Panglao, but of the whole province,” Cabarrus said. Cabarrus said the limited runway at the old Tagbilaran airport was a factor of non-competitive airfares to and from Bohol, which hampered its full potential as a tourist destination. “For the longest time, we have been at the mercy of very expensive airfares. For instance, a one-way trip between Manila and Bohol at peak season can be around P8,000 to P10,000. It’s almost the same fare (rate) to Hong Kong. We’re hoping that with the operation of the new airport, the fares could be lower due to supply and demand,” she said. Aboitiz InfraCapital is hopeful that the government will allow it to operate the regional gateway within the year.